The Paddo was reviewed on Friday 30th December 2011 13:06 by Richard. 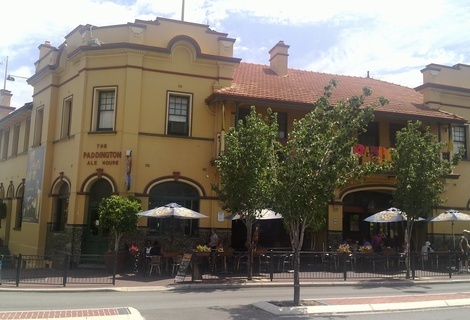 The Paddo is arguably another of Perth's landmark pubs opening its doors way back in 1932. Situated in the heart of Mount Hawthorn, The Paddo has made a name for itself amongst beer lovers across the State. Stepping into The Paddo you can't help but notice all the glaring references to the "141 international beers" they have on offer (as well as having another 29 beers on tap). Just opposite the bar are huge Honour Boards detailing the time it took people and groups (footy/rugby clubs etc) to conquer all 141 beers on offer and become part of the "141 club". I'm not sure if it's a growing trend in Perth or if I just never noticed it before but the Paddo, along with quite a few other pubs I've visited recently, seem to use their indoors space really poorly. It's as if they are suddenly expecting an influx of over 100 patrons and needed to get rid of tables and chairs to make way for their 100 or so imaginary guests. Floor space utilisation aside, the decor is quite cool and gives the bar a sort of beachy rustic feel. There is a small outdoor section as well as a stage/dance floor area towards the back and if you fancy a punt there are also a few TAB terminals and screens towards the back of the bar to try win your beer money back. We ordered our beers at the bar and headed for the outdoor "alfresco" area to get a table and order our food. The bar service was good, staff were friendly and service was fast. I was a little disappointed that they had run out of their "beer of the month" which was a pint of Miller Draught for $8, which would've been great value. On the way outside, we walked past a wall proudly displaying all the awards they have won over the years and I must say it's pretty impressive. The outdoor area was great for a summer's afternoon, they had fans equipped with water/mist sprinklers and there was a good westerly blowing up Scarborough Beach road. The Menus were a bit confusing, both had "Kimberley's" written on it and it turns out that Kimberley's is the restaurant at the Paddo. If you look on the side of the menus you can see that one is the bar menu (available from 12 - 9pm) and the other is the restaurant menu (available from 12 - 3pm and 6 - 9pm). This doesn't make a whole lot of sense as you have to order the food from the same place (around the corner at the front of the kitchen). Anyway, since we were here to review the pub we ordered off the bar menu. Both menus were quite interesting and not at all what I expected. The food on offer is fancier than standard pub food and the prices were fairly reasonable. We ordered a club sandwich (which is more of a chicken burger than a club sandwich) and a lamb burger (which turned out to be more of a pita style dish in naan bread). The food came out in under half an hour and the food service was great. They bring the food to your table cutlery and all. The club sandwich (burger) was great, the crumbed chicken filet was cooked perfectly even though it looked like it might be a bit dry and the flavours were great. The chips were a bit average and tasted like oven chips (may have been a bad batch). The lamb burger (pita) was not so good, the ratio of naan bread to lamb patty was akin to the male to female ratio of Kalgoorlie (tiny patty lost in a sea of dry naan) but the Middle Eastern flavours and the tomato salsa were great. If the patty had been bigger or there was less naan the whole dish would've been fantastic. 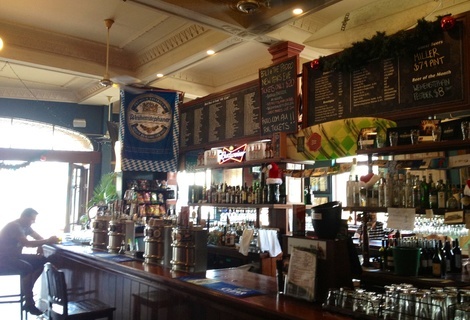 The Paddo is a typical suburban local pub, attracting a few 'outsiders' with the allure of taking on 141 beers. The crowd was a mixture of bogans and well dressed people that looked like they just came from a brunch in Subi but neither were out of place. I will definitely be heading back to the Paddo to try some more of their 141 weird and wonderful beers and might have to make it a Thursday night as I’ve heard that they have one of the best chicken parmys going around.